Love, amore, honey bunch, cutie pie…love is in the air! So, are you showing your money some loving? Hmmm. If you are have a bitter relationship with your money or you are just not feeling the money LOVE, it’s time to change your relationship with money so you can welcome more of it into your life. 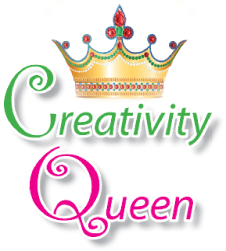 I want to offer you some creative tools and strategies to help money fall head over heels in love with you, so it keeps flowing gracefully into your life. So let’s get a little creative here with a visualization exercise. 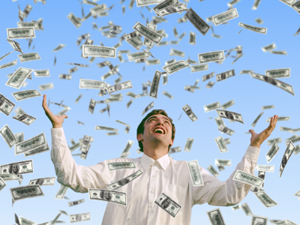 Imagine money coming to you joyously and easily. Right, you open the mail and there is an unexpected check, you check your messages and a client you haven’t spoken with in a while wants to come in this week, your about to do some laundry and find some unexpected money in your pocket.. it just keeps showing up! Yippeee! Feel the expansive energy around this, it feels easy and effortless- and oh so joyous! Now imagine you open the mail, there is an unexpected bill, and you think, “not again”. You get into your car and the engine light comes on, and you feel a tightness in your chest. A client calls and cancels for later that week. You check your bank balance, and it’s below your comfort zone. You start to feel constricted, it feels tight, and restricted and fearful. So let me ask you a question, out of these two scenarios, where to you focus most of your time and energy? Are you spending more time in money chaos land, where you are focusing on all the lack and fear of not having enough? Are you living mostly in the land of money ease and grace, where you see around you all of the ways money flows into your life? Here’s the gift– money is exactly like a child. Think about your child, or a child you know. When you pay attention and lavish them with love and nurturance, (for the most part) they are pretty content with the connection and feeling paid attention to. Now think about what happens when your child comes up to you and you’ve got you hands full with dinner, your on the phone, and they can’t get your attention? Off they go into another room, frustrated. A few minutes later you hear your other child scream because, “she hit me”, or “he took my toy”. Whhhaaaahh! Total melt-down! Why, because you weren’t paying attention. Money, too likes attention, and either you are going to pay it attention with love and nurturance, or you are going to pay it attention with frustration and struggle. 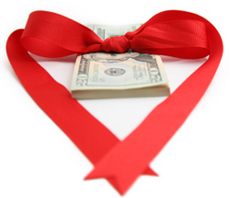 So how do you show your money some LOVIN’ to keep it well behaved? If you are spending more time balancing your checkbook and wondering where your money has gone, then it’s time to shift to some positive supportive money habits. Here’s one you can start today. Track every bit of money that comes to you. Every rebate check, every dime you find in a pocket, every penny that flows to you and your family (this means for both you and your spouse too). Everything, Everyday. Don’t separate his and hers, or negate a small amount of money, or say “I didn’t earn it”. Count it all- every day! You’ll start to notice how much money flows to you. Pretty doggone remarkable. Then as you track it on a monthly basis you’ll see how much comes into your household over time (and where there are lulls, so you are not a victim when there are slower times). Want to know what the top 5 areas to specialize in to grow your practice? Wouldn’t it be nice to know what your potential clients are looking for so you can be of service to them? Imagine how knowing this information could easily position you to step forward in your practice and let those clients know you understand EXACTLY what they need and you are there to help? How would that impact your practice? How would that be of service to your clients? When you specialize others know what you do and can refer those in need to you. It’s an absolute win:win- for your clients, as well as yourself! Yet, there are reasons why people don’t specialize, and if you are using one of these as an excuse not to niche your practice, then you will continue to struggle. Here’s the good news- I show you the top 5 areas to specialize in (and a few extra as well) and will lovingly point to the reasons why people don’t niche. The best part, is I will doing this all for F*REE! I can’t wait to ‘see’ you on the call! Find Your Niche and Clients Will Find You! Do you see that mess? Well that is my ceiling in the family room of our summerhouse up north. To make a very long story short, our water shut-off valve burst and this was what our neighbor discovered when he went into check on our house! 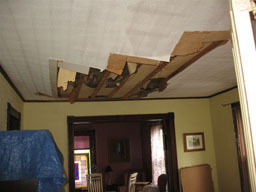 What a mess- our happy relaxing retreat was turned upside down as over 1000 gallons of water rushed through the bathroom upstairs and down through what was once our ceiling! It was heartbreaking to see the images, and even more heartbreaking to talk with our insurance company! However, there is something important about this story that will benefit your therapy practice. Once you ‘get’ this you’ll understand exactly why you may not have the number of clients you’d like to see in your therapy practice! So the heartbreaking news was our home was devastated by water, our hardwood floors damaged, our bathroom completely destroyed, and our ceiling defunct… but it was the discussion with our insurance company that was truly devastating! Our insurance company adjustor came and made a determination that denied us a claim. Basically, the cost of this damage would need to be paid out-of-pocket. What we are learning in this process will help you in your business, and be the big ‘ah-ha’ that will help you to authentically attract more clients to your practice. So when we found out our claim was denied by our insurance company, we did EXACTLY what people do when they have a problem. We started to look for a solution! We did what most people do, and that is we asked people we knew if they had ever had this problem and what they did. We asked a family member in the real estate business if they had ever encountered this problem. We got the name of another insurance company who said they worked with an adjustor company who did exactly what we needed- they took on claims against insurance companies if they believed it was a wrongful determination. Then we spoke to another friend who had a contractor that was an expert in cleanup from water damage, and could help us with reconstruction. We were able to easily search for mold clean-up remediation services, because we knew they would be able to help us with all the water damage and sprouting mold! Can you see what all of these have in common? They are all specialized experts who have created a very specific and targeted niche. So when we needed help and stared to ask around and do internet research, these experts stood out from the crowd and they were exactly what we were looking for. The insurance company was able to refer us to the adjustor company because they knew that was their area of expertise (notice there was no competition). The contractor was the perfect fit because he knew exactly what we were dealing with and quickly offered us a solution to fit our needs (of course he was referred because his services matched our needs). The mold remediation specialists were easy to find online in one quick search because their services are so targeted (mind you because they are specialists they charge an EXTREME amount of money)! So how can this hole in the ceiling mishap help you in your business? When you niche your practice, you make it crystal clear who you serve and what you offer because you are ready to step in and help your clients with their very specific problems. When you don’t claim a niche you do a disservice to your clients (they won’t know where to find you), as well as your services (you’ll be SLOWLY building your practice and you’ll be poorly compensated for your time)! If you score all “Yes”- then it’s time to get an extreme niche makeover! If you have a majority of “Yes”, you will want to learn how to create a niche that supports you and helps others refer to your practice. If you do not have a “yes” then whoo hoo! Way to go, keep rocking! You see there are people out there waiting for your unique brilliance to help them. When you deny stepping into your unique gifts, you deny those clients an opportunity to work with you. If it weren’t for the all those professionals who found their niche and specialized in their expertise, we would still be looking for help for our house with little success. SO the lesson learned- niche and clients will find you! Want my insider strategies on how to create a profitable niche aligned with the work you love to do? Join me for a complimentary call where I’ll reveal how to Niche and Fill Your Practice. If you are new to starting a private practice, or you’ve been in business for years and still missing that magic piece to help you fill your practice, then you are not going to want to miss this F*REE call! Join me on Tuesday, April 27th at 8:30- EST as I share my insider strategies on how to Niche and Fill Your practice. I’ve been talking to many of the therapists on the strategy calls and exploring with them their big “why”, the reason why they do what they do. We are not in this profession for the money, but to help others process, grow, explore, heal, and transform their relationships and their lives. Money is not the bigger “why”, but the gift of helping others is what keeps us showing up, being present and compassionate with our clients. So when the clients aren’t showing up all of a sudden you may question your clinical skills, or start to second-guess your gifts as a therapist. Self-doubt will often show up when you are vulnerable and do its best to keep you put. Yet, you know your truth, you have the clinical knowledge, you are a gifted healer, that is your truth. However, even the most gifted therapist may get overwhelmed and feel stuck, if they are fearful of not attracting enough clients to their practice. (read more on the blog- click here). Fear often shows up at these crossroads with the intention to keep you right where you are. So people start to make comments about the economy or about things not working out because there is too much competition. Brilliant therapists may just stay put, doing more of the same marketing as they have done in the past, hoping things will be different. Some people may start looking for contract or agency work, fearful if they don’t do something now they may not be able to pay the bills. So what can you do during these periods, when Monday comes around and you are dreading the lack of clients, or the agency job? You can look fear head-on and see what it is attempting to do; then when you acknowledge fear, you can begin to take action on marketing your business. I like to think of fear as an indicator that there is a possibility for something remarkable to happen fairly soon. Here’s a simple tool to help you understand what your fear is signaling. Draw a bull’s eye with two rings. In the center of the target is your comfort zone. It’s the place that is familiar to you right now. Even if it is not the best place for you, it is familiar. Your comfort zone may stretch some, but it stays fairly closed. When you move beyond the comfort zone into the next ring you are in the ‘gap’. The outside ring is your goal, or intended outcome. While you are in the gap there is an intensity of feelings, this is where fear resides. Emotionally you may feel like you will be annihilated. Being in the gap will bring up lots of negative cognitions to validate why you should go back in to your comfort zone. You’ll find excuses to quickly help you return to your comfort zone (such as I can’t do that, I don’t know enough, I don’t have the time, I don’t have the money, the economy is bad, my spouse won’t let me, etc). We see this with our clients when they go through transition as they move out of their comfort zone and familiar patterns into the unknown. By looking at fear honestly and openly you can see where you may be ‘playing small’ and staying in your comfort zone (even when you are longing for something bigger). Take the time to do this exercise and write down or draw out all the negative cognitions and feelings in the gap. Then acknowledge what you desire to create, and take steps towards your bigger “why”, or the goal that keeps you showing up, even on tough Mondays. Ready to take a no excuses approach to your bigger ‘why’? Then join us for the 6-month Create a Business I Love Platinum Program on April 9th. You will be given a blueprint to create a six-figure business and walked step-by-step through the process of exactly how to create the therapy business you love, making more money and helping more people.